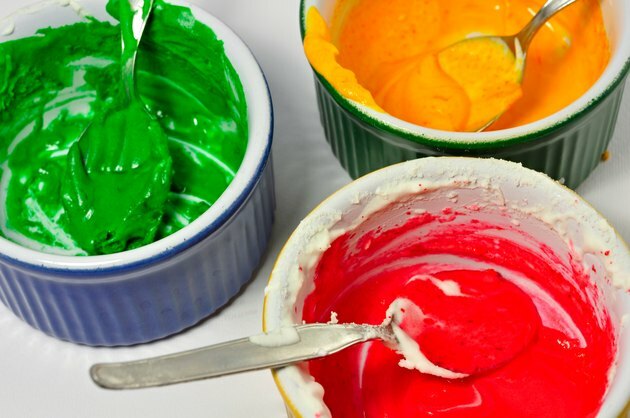 Food coloring is fun to use to dye Easter eggs, spruce up white cupcake frosting or even make a colorful drink on St. Patrick's Day, but your mood might change if it gets on your clothing. Although food coloring might seem impossible to remove, it can be done -- but stain removal isn't as simple as just tossing the garment in the washing machine. Care must be taken so the food coloring doesn't spread further onto the clothing. Treat food-coloring stains promptly for best results. Scrape off any globs of food coloring with a butter knife. Do this gently so the food coloring doesn't spread. Fill a bucket with 1 quart of lukewarm water. Add 1/2 teaspoon of liquid dishwashing detergent and 1 tablespoon of household ammonia. Place the garment in the bucket. Let it soak for 15 minutes. Take the clothing out and rub the back of the stain with your fingers. Soak for 15 more minutes. Remove the garment and rinse under cool water. Empty the contents of the bucket and rinse it out well. 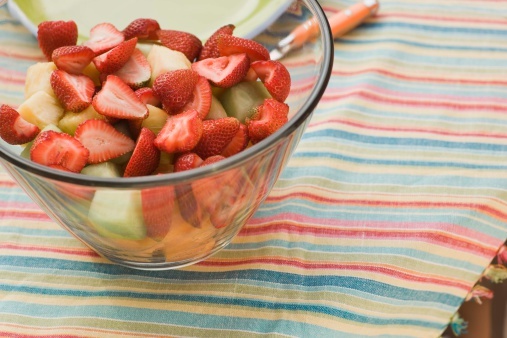 Fill it with 1 quart of warm water and 1 tablespoon of white vinegar. Soak the garment for 30 minutes. Wash the garment as usual. Discard the mixture from the bucket and rinse it out well. If the stain remains after laundering, fill the bucket with 1/4 cup of bleach and 1 gallon of water. Use chlorine bleach if the garment is white and it's safe for the fabric; otherwise, use oxygen bleach. Soak the clothing for 30 minutes. Rinse well and launder again.